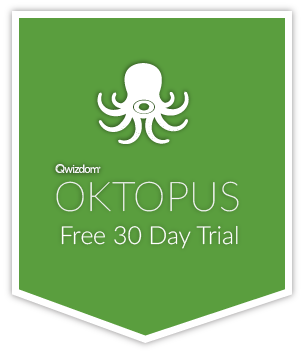 The latest version of Qwizdom OKTOPUS is now available! In this release we’ve implemented lots more background options including lined paper, graphing paper, and some new colours. We’ve also added a buzzer sound to our countdown timer, improved scrolling through the sidebar, and made the handwriting recognition available in every tool category. Check out the change log for all the updates. Improvement – OKTOPUS will allow other applications to come to the front when a background is applied. OKTOPUS will retain focus in Glass Mode. Improvement – Pen, shape, image, and text menus are now movable. They will remember their location until OKTOPUS is closed.